Pendulum Papers, a twice-yearly zine based in Melbourne, Australia, presents and welcomes brief, distinctive stories which interest, stimulate, move or entertain. 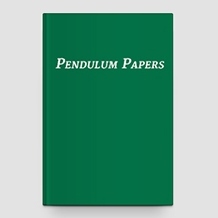 Enquiries, comments and submissions up to 2000 words info@pendulumpapers.com. Our next deadline is July 20th, 2019, for August 2019 issue. A published story brings $100 payment and remains copyright to author. Please see our expanding archive.